USPS have released details of their forthcoming API update due on 28th July 2013. If you don’t update your Magento installation you will stop receiving USPS rates for most services other than Standard Post, Media Mail and Library Mail. WebShopApps have analysed the update and have decided to release a free patch to the community to ensure you can continue using USPS with the new API. Time in Transit estimates where available. 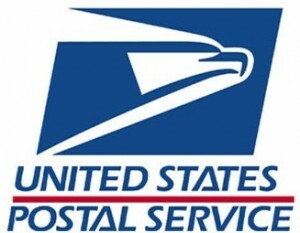 For example you will now see something like Priority Mail 2-Day, Priority Mail Express 1-Day and so on. We have qualified this against Magento 1.4.1 upto Magento 1.7 – you can download the extension via the WebShopApps site. If you are running Enterprise Edition then we recommend you download the official Magento patch in your downloads area on Magento once available. If you are running the WebShopApps Dimensional Shipping extension please contact us for an update to this. If you are running Dropship, Handling Matrix, Shipping Override, or Shipping Insurance you may need to update your configuration to reflect the new shipping methods. WebShopApps are premier providers of shipping solutions for rate management in Magento. Contact us to discuss your needs. You are currently browsing the Magento Shipping Extensions blog archives for July, 2013.